Everything is important when it comes to commercial shelving, including the posts. In an effort to meet your unique needs, shelving manufacturers pay special attention to post design. 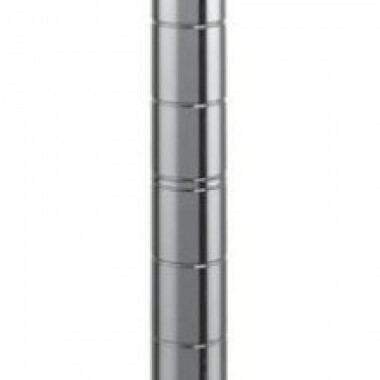 Chrome plated finish provides corrosion resistance, easy cleaning, and increases durability. Posts are grooved and numbered for easy shelf adjustment. Adjustable leveling bolt footing is available for stationary shelving, and pin casters are available for mobile units. myBoelter stocks post lengths to fit short and tall spaces. New Age 2575 Common Upright, 27"
New Age 2573 Right Upright, 27"
New Age 2571 Left Upright, 27"